What ingredients should I have on hand to make your recipes? It’s difficult to give a short list, as every healthy dessert recipe is different. I try to keep my recipes as simple as possible (i.e. no hard-to-find flours or other obscure ingredients you likely don’t have on hand). Some items called for in many of the healthy dessert recipes: baking powder, baking soda, salt, cocoa powder, rolled oats, flour (Although the recipes often call for spelt flour, most also list an option for all-purpose or gluten-free all-purpose flour), milk of choice (such as almond milk or coconut milk), coconut butter, pitted dates, sugar or maple syrup or stevia, applesauce, and peanut butter (or an allergy-friendly alternative). What recipe would you recommend to serve to people who don’t like “healthy” food? Without question, I’d recommend the Deep Dish Cookie Pie. 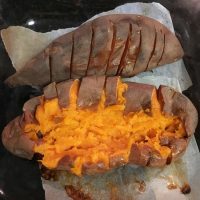 I’ve received hundreds thousands of emails, facebook messages, comments, and tweets from people who’ve had success bringing this recipe to parties. The Cookie Dough Dip, Fudge Babies, and Chocolate Bar Pie are also good options for so-called “normal” eaters. Do you have any gluten-free or allergy-friendly recipes? Definitely! See the following page: Special Diet Recipes. Also, all of the recipes are vegan, which means they are free of meat, milk, eggs, and other animal products. 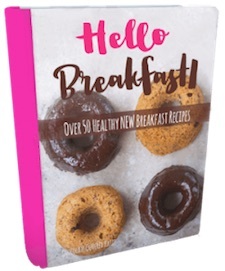 Many of the recipes are sugar-free or have a sugar-free option. How are these recipes healthy? And why do you even include sugar and white flour as options? 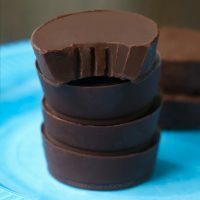 Without a doubt, the chocolate recipes on this site are healthier than their traditional counterparts (much lower in sugar and cholesterol, and almost always higher in fiber and vitamins). Thanks to the employment of high-quality and nutritious ingredients, many of these recipes are not only healthier, they are downright good for you! 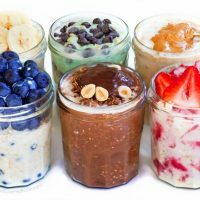 Just because these healthy desserts are high in fiber, protein, essential vitamins and minerals does not mean you should eat them with reckless abandon, but the same can be said for any food. Did you know that too much broccoli can inhibit proper thyroid function? It’s true! Everything in moderation. 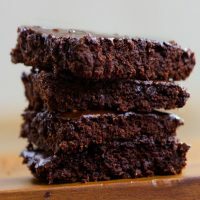 And yes, the desserts won’t be as healthy if you use the options for all-purpose flour and refined sugar; I’ve included these options because they are still healthier than traditional desserts loaded with sugar and unhealthy fats. If you’re not ready to completely change the way you cook, trying these recipes even with the white flour and sugar is a good compromise or starting point. I own a Cuisinart 7-cup food processor, and it’s one of the most-used gadgets in my kitchen. The price may seem steep, but mine is at least ten years old and still works as if it were new. If your budget allows, a Vita-Mix is also nice, especially for making ice cream almost instantly. But if you only have room for one, get a good food processor. I highly recommend it over a blender for recipes such as the Black Bean Brownies. 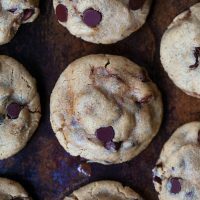 Do chocolate chips contain dairy? I used to think vegans couldn’t eat chocolate. Thank goodness this isn’t true! 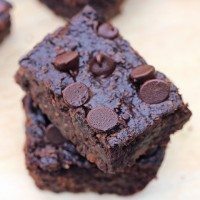 There are many brands of vegan chocolate chips, bars, and other chocolate desserts on the market today. (I try to stick to fair-trade brands only.) Companies with vegan chocolate options include: Endangered Species, Sweet Riot, Gnosis, Love Street, Enjoy Life, Taza, Whole Foods brand, Sunspire, some generic brands, Divvies, etc. They even make vegan mini chocolate chips now, and you can find vegan white chocolate online. Or, sometimes I even make my own Sugar-Free Chocolate Chips. How do you justify spending so much for expensive food products? In the long-run, you will save money by splurging for quality ingredients over processed junk. Sure, something like a Big Mac only costs a buck. But do you know how much triple bypass surgery costs? I can guarantee it’s more than a bag of chia seeds! Also, one consumes a Big Mac (or a candy bar, etc.) in a single sitting. With something like coconut butter, a little goes a very long way. And I save money in other areas of my life. I don’t buy designer handbags, I paint my own nails, and I rarely go to the movies, and I don’t drop $80 on one steak dinner. As for organic, I buy certain items organic if I see them (such as peaches and peppers). But I don’t usually worry about non-“dirty dozen” items. I also always buy conventional broccoli, because the organic is often buggy, which grosses me out. I know ingesting pesticides is worse than eating bugs… but at least you can’t see the pesticides! What type of stevia do you use? Can I use a different brand? Is coconut butter the same thing as coconut oil? Can I sub coconut oil when you call for coconut butter? The two ingredients are not the same, and you usually shouldn’t sub one for the other. For more than you ever wanted to know about coconut butter, coconut oil, and the differences between the two, see the Coconut Butter FAQ Page. Can you list calorie counts for your recipes? Please? Initially, I didn’t want to list calories for any of my recipes, as I don’t believe in calorie-counting. Calories don’t take into account vitamins, minerals, or other such nutrients; therefore they do not give the whole story of a particular food. 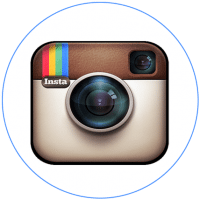 However, I know a lot of my readers find nutritional information helpful, and therefore all recipes as of January, 2012 do have links to the nutrition labels—including Weight Watchers Points Plus. Help! My online calculator gave me different numbers than those on your nutrition label. Why? I made this recipe and I followed it to a T… except I subbed _________. It came out awful. What did I do wrong? Each and every ingredient listed in the recipes is included for a reason. They’ve been tested and re-tested, and I stand behind them all 100%. Unfortunately, I can only vouch for the results if you follow the recipe exactly—right down the the last grain of salt. Of course you are free to experiment by using a different flour, adding an ingredient, or making other substitutions. But do this at your own risk, and don’t blame the recipe if the results of the substituted recipe turn out poorly. You’d be amazed at the big difference one seemingly-tiny substitution might make to a recipe. Don’t use imitation vanilla extract if a recipe calls for pure. Calibrate your oven. As it turns out, many ovens are not calibrated correctly. Always bake on the middle rack, unless it specifically states otherwise in a recipe. Don’t confuse whole-wheat flour with whole-wheat-pastry flour. They are not the same thing. Feel free to experiment by making changes to a recipe, but don’t omit or change anything from the recipes—including using a different flour or decreasing the salt—unless you’re okay with the possibility of a bad turnout. In recipes, I only list substitutions that I’ve tried successfully, and I really can’t advise on any I haven’t tried. But you are most definitely free to experiment! If using coconut oil in one of my recipes, it should always be in liquid form unless it specifically states otherwise in a particular recipe. And be sure other ingredients–such as milk of choice–are not cold if they are being mixed with the oil. Take climate into account. In humid weather, flour won’t absorb as much liquid, which can affect the end result. Altitude can also cause differences in results, especially with baked goods. In higher elevations, you may have to make changes to certain recipes. And invest in a food scale! If at all possible, buy a food scale. It’s less messy (fewer measuring cups to clean), and it is much much much more accurate. Study after study has found that, when asked to measure a cup of flour, people’s measurements can vary by up to 3 tablespoons! That could make all the difference in a recipe. On the other hand, 100 grams of flour is 100 grams. 100% of the time. 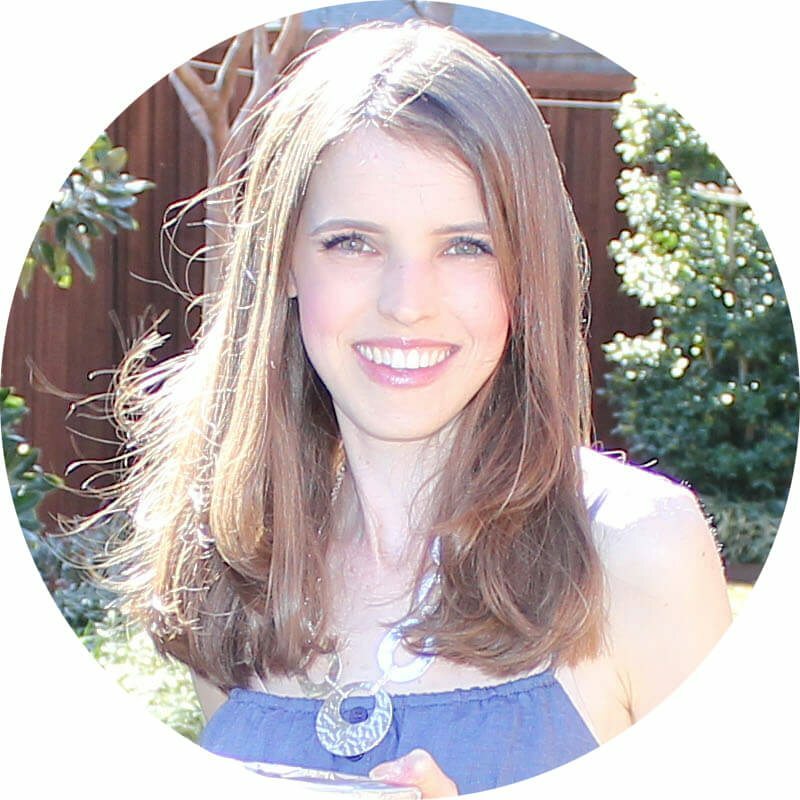 For further FAQs, see my Chocolate-Covered Katie FAQ Page – answers to personal questions about the girl behind the blog. Since you have so many amazing peanut butter recipes, I was wondering what kind of peanut butter do you use? Was curious if you use a natural, unsweetened peanut butter or something more traditional since that probably affects the nutrition info. Can I use pb2 in any of your recipes for peanut butter.and if so do I need to add the water to it or can I use the powder. I’d like to know too! 🙂 Great question! Hello Katie, I love your recipes. I would like to know if there is a way to soften and sweeten bananas. Our house is a bit cool and it takes quite some time for our bananas to turn brown and sweeten up. I heard you can put bananas in the microwave. Does that really work? I would put them in the oven. Google how to ripen bananas instantly. Hello Jason, thank you so much for your tip. I have just looked it up and will try the oven method. Hi Katie!! I was recently diagnosed as a diabetic and was looking on pintrest for recipes and came across your blog. I have to be honest and found it amazing!! I am in love with your baked oatmeal recipes and have shared them with my coworkers and family, so thank you! I was wondering if I can make this baked oatmeal with steel cut oats? Have you tried it? Please let me know, thanks again!! Sorry, I’ve never tried so I really don’t know. I have used steel oats for baked oatmeal. The texture is somewhat grainy but good. I use steel cut oats in all the oatmeal recipes… Love it! I’m sure you get hundreds of comments daily and I am not one to usually post a comment on ANY website b/c I think that they’re not usually read but I just have to say I love the new look of your website even though I know you mentioned more changes coming! I wish I had some type of visual art talent, especially being an elementary teacher! I really enjoy browsing your website and have tried a few recipes already. I have to stop myself from looking at it everyday b/c it’s putting a hole in my wallet!! lol…I’m currently on Weight Watchers and constantly look for WW points plus on new recipes I try. 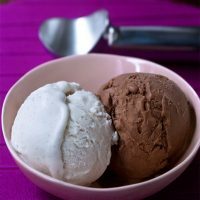 I often use a website called Skinnytaste.com b/c of the points plus info. I know you’ve only begun to do this in Jan. 2012, so I appreciate your efforts! Anyway, your work and “healthified” desserts (and I even just noticed some lunch/dinner recipes) are amazing! I’ll continue to use your website..just please keep posting WW points!! 🙂 Thanks! I actually do read ALL of my comments. I don’t understand how a blogger could not! They put a smile on my face every day. And although it takes me awhile, due to the number of them, I do try to answer as many as possible. I appreciate you all so much. Hi Katie, I found your blog today and I must say, all of your recipes look amazing! My only concern is, though, I live in the UK and we don’t use cups as a measurement like you do in the USA (which I’m guessing is where you live at the moment) so all of your measurements being in cups kinda confuses me. At the bottom of this FAQ you’ve said how inaccurate cup measurements can be, but 100g of flour is always going to be 100g of flour… so why don’t you use grams or ounces to measure your ingredients with? I’d love to make some of your recipes myself, but if they need to be followed to the letter I’d much rather have some more specific measurements to follow. Thank you for all the recipes! I guess I am confused… almost all of my recipes list gram measurements :). 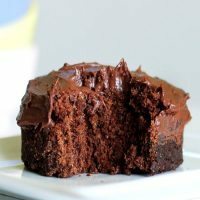 I just made your 1 minute chocolate cake – yummo! I didn’t have xylitol so I used honey. What is xylitol and why is it better for you then regular ole’ honey? Also, how much stevia is in a stevia packet? Google “xylitol” for a good description. Amounts in stevia packets will depend on the brand. I use NuNaturals and highly recommend it as having less of an aftertaste than other brands. 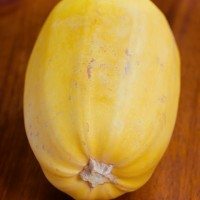 question…if i want to JUST look at your recipes that use pumpkin…. (best reply ever!) yay for tag/pumpkin! Coconut Crack Bars: OH … MY … GOD !!!! CCK, I’ve been giddy on my way home from work each day this week b/c I know they are in the fridge waiting for me. I found your blog on a Nutri-Bullet page, and I’m so glad I did. I think you may have changed my life. I am curious about your opinion on agave. 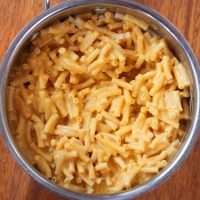 I’ve seen you recommend it in some recipes, but most current information is that it is highly processed and worse than table sugar or HFCS. I’m not an expert on it and don’t know a ton about the controversy, but I never bought into the whole idea that agave was a wonder sweetener anyway. I always have seen it the same as any other sugar–something to be used in moderation. Help! Vanilla extract isn’t provided in my city. Could I use vanilla essence instead? I know it say imitation extract is not right but how about essence? People say it’s stronger. Help! It’s alright. I tried it out and it works very well.